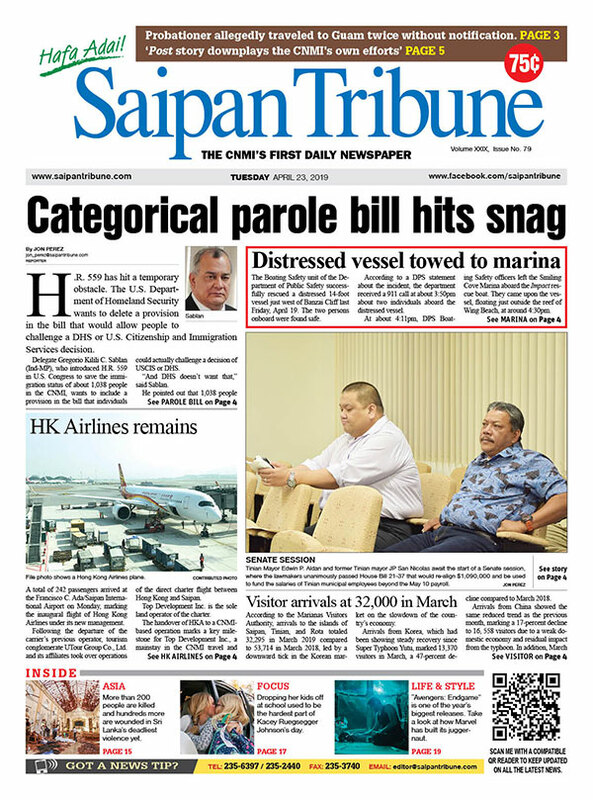 Those opposed to the U.S. Department of Defense’s proposal to locate the divert airfield on Saipan can heave a sigh of relief after U.S. military top brass, led by Joint Region Marianas commander Rear Admiral Bette Bolivar, assured Gov. Eloy S. Inos Tuesday that the U.S. Air Force hasn’t made a final decision on the sensitive issue. The governor, along with Lt. Gov. Ralph DLG. Torres, met with Bolivar, Marine Corps Forces Pacific executive director Craig Whelden, Pacific Command Strategic Planning and Policy director Maj. Gen. Michael Dana, and Pacific Air Forces Brig. Gen. Steven Basham before noon Tuesday at the Governor’s Office conference room. “[We were] operating under some vague–at least from the standpoint of the CNMI–understanding of the various project proposals and so forth and that’s why I’m just happy to hear that the work continues…” said Inos while adding the EIS on the divert airfield would probably come out in April. 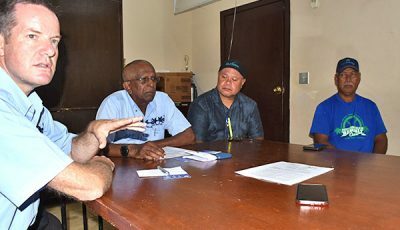 The governor said his talk with Bolivar and company has given him the impression that any decision regarding the military’s use of CNMI land will only be made at the highest levels of government. Bolivar, meanwhile, thanked the governor for allowing the military to proceed with the EIS process regarding the divert airfield. “I so appreciate the governor for allowing us to continue with EIS process. 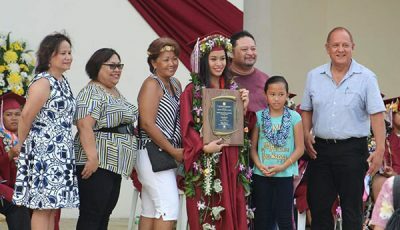 I think it would be beneficial to all of us—both the people of the CNMI as well as the Department of Defense—to be able to do the homework, to get those facts, and proceed with the EIS so we can give the Air Force the opportunity to make an informed decision,” she said. The rear admiral also thanked the governor for providing them a venue to explain to the public that no final decision of the divert airfield has been made. Pacific Air Force Brig. Gen. Steven Basham also reiterated what the governor said that the CNMI government and the military will continue to have discussions on where the divert airfield will be placed. Dana, for his part, said having Bolivar aboard certainly helps as the Joint Marianas Command begins to tackle pressing issues like where the divert airfield would be located. CNMI officials are unified in their request to put the divert airfield on Tinian, where two-thirds of the island is already leased to the U.S. Department of Defense. DoD, however, wants it on Saipan. During his inauguration speech on Monday, Inos said one of his first jobs would be to make a formal request to the President Barack Obama on 902 consultations between the two governments. He said he would ask the President to appoint his representative for the executive-level talks allowed for under CNMI’s Covenant with the United States. Expected to be discussed is a plan by DoD to use the international airport on Saipan as an alternative airfield.